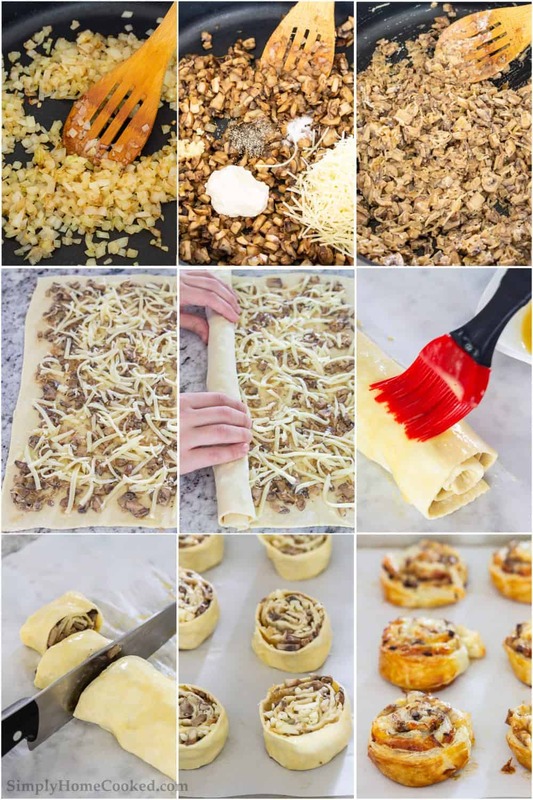 Mushroom Puff Pastry Pinwheels are just what you want when you think of savory appetizers that are easy to make but still look spectacular on your buffet. 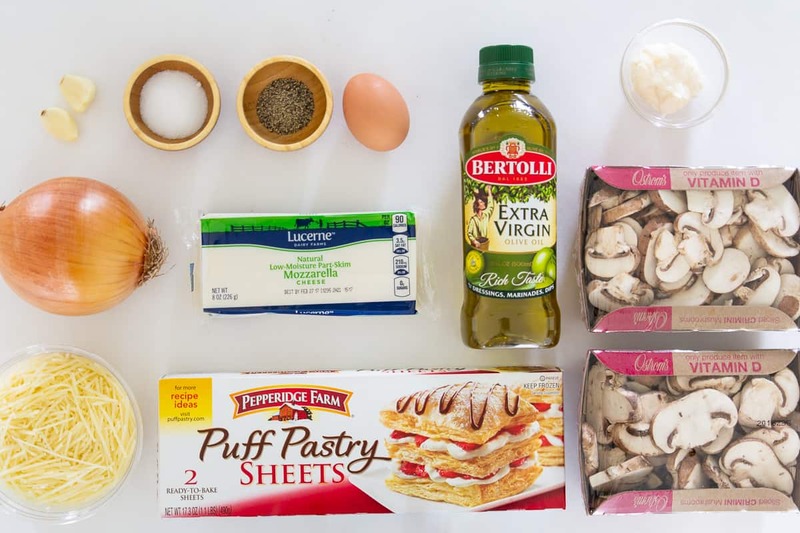 Check out our recipe for this simple process of making puff pastry pinwheels featuring hearty protein-packed mushrooms. If you enjoy using puff pastry in recipes, then you need to check out our Chicken Puff Pastry Roll. This recipe was originally posted November 8, 2016, we’ve tweaked it a bit since then. This post may contain affiliate links. Read my disclosure policy here. 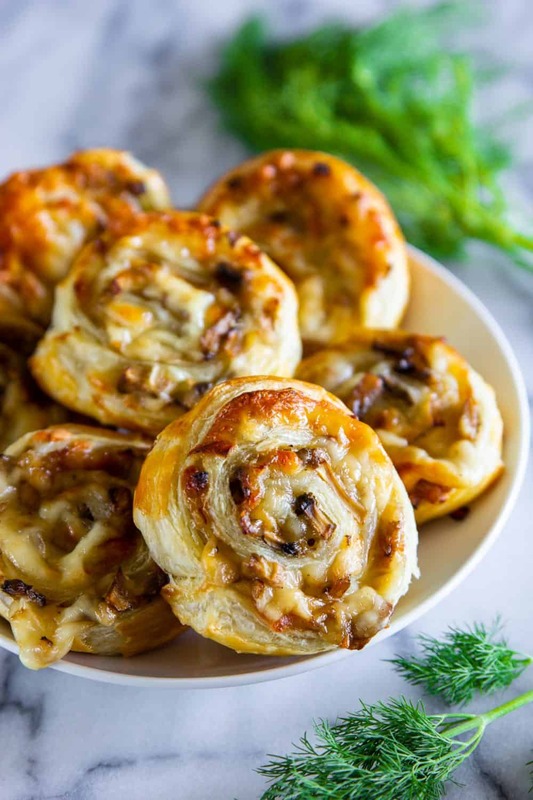 These cheesy mushroom puff pastry pinwheels are the perfect appetizer for a holiday potluck. They can be eaten warm or at room temperature. I love serving pinwheels as an appetizer because they can easily be made hours in advance. Anyone who enjoys the combination of garlic, mushrooms, and cheese will definitely love this pinwheel recipe! Prepare vegetables and cook in a skillet until translucent and desired doneness. Add in other ingredients as directed and stir well. Spread onto prepared puff pastry sheet and roll before slicing into individual pieces. Lay these on a prepared baking sheet and bake as directed. Once cooked through, move to a serving platter and display with fresh herbs or dipping sauces if desired. Follow the visual tutorial above as needed for help alongside the printable recipe below. 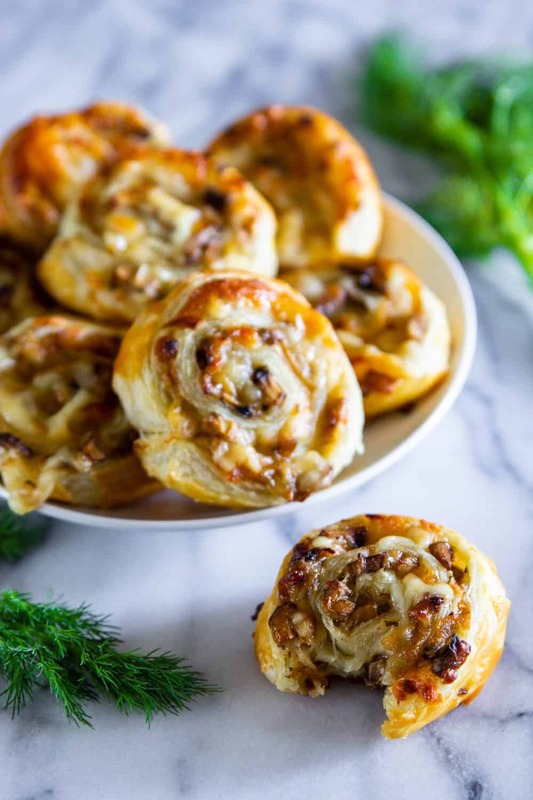 These mushroom and cheese puff pastry pinwheels are sure to please your guests. Along with these, I love creating a variety of appetizers to suit the taste buds of any guests I am hosting. Below are links to some of my other favorites that you may want to try and serve to your guest at your next event. In a skillet heat olive oil over medium high heat and sauté the onion until it becomes translucent. Add the chopped mushrooms and stir them until they are cooked through. Add mayonnaise, salt, black pepper, garlic, and parmesan. Roll 2 sheets of puff pastry out to 12 x 16 inches. Split the mushroom filling in two and distribute a thin layer across both sheets. Sprinkle mozzarella on top and roll tightly starting from the longer side. Line a baking sheet with parchment paper and place both rolls on top. Generously brush with egg wash.
Cut each roll into 1 inch pinwheels. Place the pinwheels laying flat on the parchment. Bake at 365 degree Fahrenheit for 30-40 minutes or until golden brown. Is it possible to sauté the onions and mushrooms the day before to save on time? Do I need to drain all the juices off? Looks really good..how long will it stay on room temp?Going for a four day road trip. Hi Sarah, if you keep them in an airtight container, they should be good at room temperature for about 3 days.